I've been doing Competitive Analysis as part of my SEO work for a couple of years. I usually charge between 400-600 per analysis and it's usually for a clients' sector (ie: house plans sites for www.thehousedesigners.com, or online music sites for Naptster.com, stuff like that. I've written a couple of papers on my approach that are posted in the World Resource Center (www.sew-wrc.com) where I am a chat moderator. I also do competitive analysis of large corporate sites (and I work for large corporation) so it might be HP vs Dell vs IBM vs Sun. have you any non self promotional information to offer? -Is it better to do a subscription generic service or a specialized one? -Do you think the risks and legal expenses outweigh the potential rewards? have you ran into any legal issues? -What all information did clients want on the reports & like about the reports? if you don't reply to this I will probably delete your last post as uninformative self promotional post. I have been retained a few times by a new venture in the Valley that seeks out underperforming "search engine real estate", buys them, and then develops them. The client started calling asking me to do "SEO Audits" of sites they were looking to buy as part of their due diligence and valuation. The latest was for a nearly seven figure transaction in rapidly growing telecom sector. As this firm has me on retainer, it's generally billed out on my hourly rate, but if it were to be done for a new client that I didn't have other arrangements with, I would venture you'd be looking at at least $2000 to do an appropriate job at what a decent SEO/SEM charges hourly. If I were to estimate the viability as this being a profitable service offering, my answer would be, "You betcha!". Every last enterprise or corporate client I've had has asked, "How did our competitors get there?" This is simply how corporate marketing departments work...lots and lots of due diligence and methodology forensics. From my side, it's something I do anyways when I'm evaluating whether I'm going to take a new project or not anyways. I like to evaluate the battlefield. Might was well upsell this! As search marketing evolves, I see folks moving past the novelty of it all and moving towards the most intelligent wholistic solution. And I see this "unraveling" service being a mandatory component. I'm not sure about the karma side of it. I think if you solely went out and sold a .pdf entitled, "How iProspect Does It", you'd piss some people off. But I really think if you envelope it in the menu services as due diligence for your client roster it will be very, very welcomed. Especially since you can perform this better than 99% of the field. Now, I better get to sleep before I keep writing more on your blog than my own. that was a killer post. thanks for that. Yeah I'm in agreement with Brian there for the most part. I really wouldn't worry about legal fees and those types of pressures. I don't see how its any different than analyzing the distribution or advertising of any competitor in an offline environment. To me determining why other sites are doing so well is generally the easy part - and generally its pretty much what you would expect, although you may not be aware of the exact details prior to doing the research. But seriously, how often do you think "I wish I knew how that site got ranked so well"? That's not usually the problem. Building a site with tons of great content that is seen as an authority site, well-themed, well-established and has had a nice steady history of gaining high-quality inbound links is pretty much "how" you do it. Doing it ain't so easy though. I don't see any trade secrets here - so no legal worries in that aspect. To me determining why other sites are doing so well is generally the easy part - and generally its pretty much what you would expect, although you may not be aware of the exact details prior to doing the research. But seriously, how often do you think "I wish I knew how that site got ranked so well"? That's not usually the problem. That is the disconnect though. Most companies never really think THEY are at fault. If they just new what the competitor was doing armed with your knowledge they could do it better. Corporate arrogence is just sorta how things work from what little I understand of the corporate deal. Building a site with tons of great content that is seen as an authority site, well-themed, well-established and has had a nice steady history of gaining high-quality inbound links is pretty much "how" you do it. and hence you can price the service high enough that only legit companies with good businesses could afford it. thus bypassing the problems. companies like IBM or Apple could do things like improve internal site profile and ask business partners to slightly modify some of their links and cause a huge change in traffic. Doing it ain't so easy though. Although it sure isn't hard if the checkbook is open, and it would make upsells pretty easy if you could mention that they could also procure services from the top search marketing expert in the world who knows exactly what they need to do to get where they need to go. Isn't this what web promotion tools like IBP's top 10 optimizer offer for years? 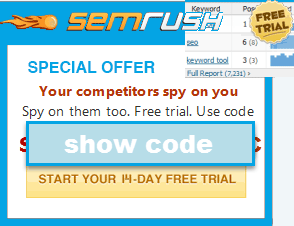 >Isn't this what web promotion tools like IBP's top 10 optimizer offer for years? I have used some of the tools like that, but tools can't really compare with what a human can dig up. Question 1: Is it better to do a subscription generic service or a specialized one? Answer 1: Since it's not an everyday thing that I'm asked to do, I consider it a specialized service. I've seen a couple of SEO firms advertise this as one of their offerings though. Question 2: Do you think the risks and legal expenses outweigh the potential rewards? have you ran into any legal issues? Answer 2: There are no legal risks if your using publicly available information (ie: comparing things like the number of first page listings for a competitive keyword phrase). If the competitive analyis goes goes beyound search visibility, link analysis, page analysis and estimated market share, there may be some issues, but my analysis don't go beyound these things, so I don't see any legal risk...but that's just my opinion. Question 3: What all information did clients want on the reports & like about the reports? Answer 3: Clients liked the Pie Charts showing distribution of search visibility. I've done Analysis like this for the science magazine sectors, online music sector, architectual house plan sector, etc. What I see lacking in most online marketing reports is a good SWOT analysis. For example, one of my clients has a house plans site and competes with some much bigger sites that offer the same things; but there's no comparision of the features of each (strengths), the weaknesses of each, the opportunities and threats each faces in comparison to the those of the client. I took marketing course, I know what a SWOT analysis is...but my clients, architects in this case, did not. Most of the people I've dealt with and work for, don't do SWOT analysis, don't know what it is. Often, the basic tools of analysis are not used..when they should be. A good online SWOT analysis should work very well as part of an expanded Competitive Analysis.